Parents like the Rankins have reason to be concerned as the discussion about decreasing funding for Medicaid intensifies. Refinancing Medicaid would gut funding by putting a limit on the amount of money that the federal government contributes to states’ health care spending.3 Cuts to Medicaid would have significant implications for many children under age 5.4 However, changes to how the federal government finances Medicaid would be particularly harmful to the young children with disabilities who rely on Medicaid to help them learn and grow in their homes and communities. More than half of all children with a disability or other special health care need rely on public insurance coverage for a wide range of services and supports.5 Because Medicaid extends eligibility in multiple ways to children with disabilities, it reaches a broad range of families and children with special needs. Compared to other children, children with disabilities are more likely to live in low-income households.6 Many qualify for Medicaid based on their families’ income alone7—without it, they would likely have no other affordable insurance options. 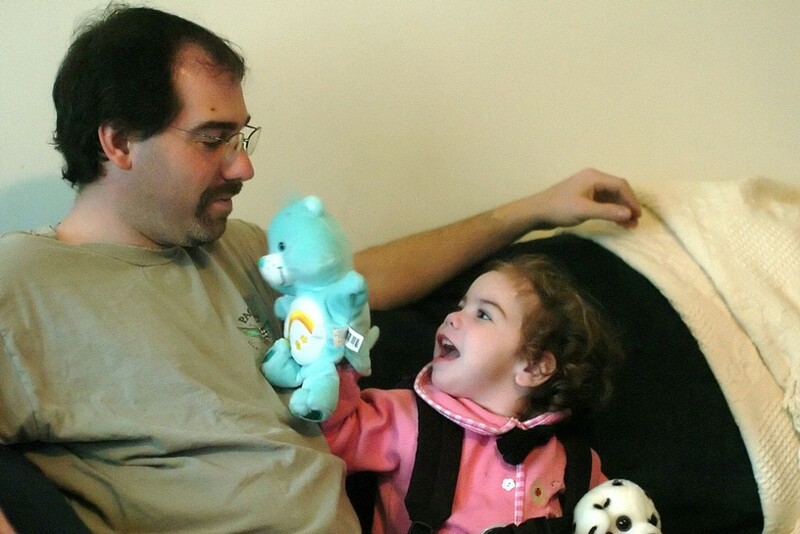 All states—except Tennessee8—have additional disability-specific eligibility criteria, which allow some children with disabilities to qualify for Medicaid even if their parents’ income exceeds the state-established threshold.9 Five states allow certain eligible parents of children with disabilities to “buy in” to Medicaid.10 For many of these families, Medicaid is the difference between being able to comfortably access comprehensive care for their child and falling into debt due to medical expenses. Early and periodic screening, diagnostic, and treatment, or EPSDT, services: Medicaid’s EPSDT benefit ensures that children have access to preventive health care, including developmental screenings; vision, dental, and hearing services; diagnostic evaluations; and services to treat any identified physical or mental health conditions.12 States are required to cover services deemed “medically necessary” to “treat, correct or reduce” health or developmental conditions, even if those services are not otherwise covered by a state’s Medicaid plan. States determine which services are medically necessary. Home- and community-based services: Children with intellectual and developmental disabilities who would otherwise require an institutional level of care can receive services in their homes through home- and community-based services waivers.13 The services and resources available through these waivers vary by state but can include respite care to give parents a break from caregiving, habilitative therapies, and medical equipment. Speech, occupational, and physical therapy: Some states may choose to cover these habilitative therapies to support children’s healthy development, help them meet developmental milestones, and support children’s participation in their schools and communities. These therapies are critical for children but are not always deemed “medically necessary” and therefore may not fall under the EPSDT benefit.16 Some children can access these services through home- and community-based service waivers. Reforms to Medicaid would put every Medicaid service—and the children who need them—potentially at risk. At present, the federal government covers a fixed percentage of states’ Medicaid costs—57 percent on average—meaning that states receive funding for that proportion no matter the cost of care.17 Under the financing structure known as a per capita cap, the federal government would instead pay a fixed dollar amount per person.18 Caps would differ for each subpopulation that Medicaid serves. States would then be responsible for 100 percent of any costs above this fixed amount. Capping federal funds for Medicaid would put states under significant budgetary strain. This would have direct consequences for the services available to children with disabilities through Medicaid, as well as the other state systems that support them and their families. Because individuals with disabilities account for a large proportion of Medicaid costs,19 the federal funding caps for individuals with disabilities would presumptively be higher than for other children or for the elderly. That said, these caps would likely fall far short of the cost of providing comprehensive care for young children with special needs, and children could lose access to the services they depend on in several ways. Reforms to Medicaid could cause parents to assume a larger share of the cost of their children’s care, which would have significant consequences for children’s development and their families’ economic well-being. Most immediately, if states choose to reduce or eliminate reimbursement for habilitative services—such as speech, occupational, and physical therapy—parents would be responsible for paying for these services on their own. Therapy services can be incredibly expensive. One parent reported to CNN that the average cost of therapy for her 4-year-old son with autism was $90 per one-hour session.30 At eight sessions per week, the total cost of her son’s therapies exceeds $36,000 per year—well beyond what most families can afford without substantial help from insurance. Without support from Medicaid, the costs of therapeutic services would put significant financial strain on many families. Others may be forced to forgo these services, potentially hampering children’s developmental progress. A recent letter from U.S. Secretary of Health and Human Services Tom Price and Centers for Medicare and Medicaid Services Administrator Seema Verma31 indicates that the federal government is preparing to encourage states to increase cost-sharing and premiums for Medicaid beneficiaries. Although initially targeted at nondisabled adults, future policy changes in this direction could negatively affect families of children with disabilities. The cost burden for services that states are required to provide—such as physician visits—could then also increasingly fall on parents. Rising costs could be financially devastating for families of children with disabilities and even put important services out of reach. They are already economically vulnerable: On top of the costs associated with specialized care, parents of children with special needs typically work fewer hours and earn less income due to their child’s increased caregiving needs.32 Nationally, 25 percent of parents of children with special health care needs report having to cut back on their hours or stop working altogether.33 One analysis found that families lose an average of $3,200 per year in wages.34 This amount is likely even higher among families of young children who are not yet in school. Proponents argue that Medicaid financing reform would support state flexibility, but it is well-established that Medicaid is already quite flexible.37 By basing the federal funding limit on prior-year spending levels, Medicaid refinancing minimizes states’ flexibility rather than enhancing it. For example, if states want to expand coverage to certain services to address an increasing need or public health crisis in the future, the federal government’s contribution would not expand in kind. Medicaid plays a significant role in ensuring that children with disabilities receive early intervention and special education services. Providers must attempt to use Medicaid funds to pay for health-related services for Medicaid-eligible children—such as speech, occupational, and physical therapy—before using funds from the Individuals with Disabilities Education Act, or IDEA.38 Capping federal funds poses unique threats to states’ early intervention and special education programs. Each year, school districts collectively rely on $4 billion to $5 billion in Medicaid funds to support special education services for children eligible for Medicaid.48 Schools use these funds to pay critical personnel such as speech-language pathologists and occupational therapists, as well as to provide assistive technology and transportation for children with special needs.49 Many schools also provide developmental screenings to students through Medicaid’s EPSDT benefit. The American Association of School Administrators recently surveyed school administrators regarding the impact that a 30 percent reduction in Medicaid funding would have on their schools. Leaders reported that reduced Medicaid funding would undermine their ability to educate children with disabilities in inclusive classrooms; force them to lay off staff; and reduce the availability of mental health services in schools.52 Schools in states that receive a relatively higher proportion of Medicaid funds per student with a disability—such as Idaho, Michigan, Montana, Texas, and Wisconsin53—would be particularly affected by a reduction in Medicaid funds. Rather than strengthening health care coverage for those who need it most, cutting federal funding for Medicaid would put some of the most vulnerable Americans at risk—all to provide tax breaks to the wealthy few.54 Children with disabilities and their families deserve health care coverage that supports them, enabling children to grow up healthy, meet their developmental milestones, and thrive in their schools and communities. Significant cuts to Medicaid would represent a step in the wrong direction and must be opposed. Rebecca Ullrich is a former Policy Analyst at the Center for American Progress.